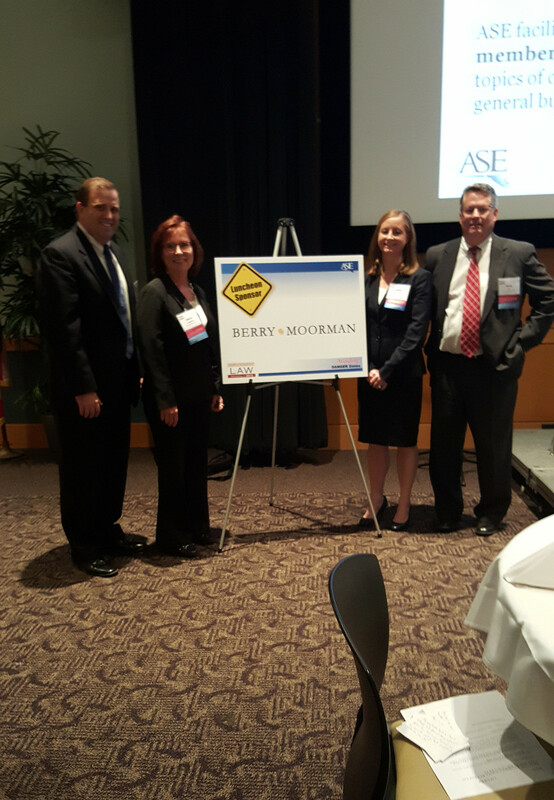 For a fourth year, the firm’s labor and employment group was the “Ask the Panel” luncheon sponsor for the ASE’s annual “Employment Law Workshop” at Schoolcraft College. Sheryl Laughren moderated the panel discussion. Sheryl, David Foy, Randy Barker and Andrea Pike led one of the break-out sessions providing valuable information focused on employee handbooks – their use in defense or support of legal claims, and the appropriate content for some employee policies and handbooks in the context of employment litigation. Berry Moorman’s labor and employment group exclusively represents management in day to day human resources and labor relations functions, response to union organizing efforts, preventive measures against discrimination and other claims, and defense of litigation matters.